BonzaSpins.com is a new Aussie-friendly online casino for players who love the pokies. Bonza Spins Casino launched on August 1, 2018, so it is a new online casino designed to cater to Australians. Bonus terms are generous, given the site’s startup nature. If you like free spins on pokies, Bonza Spins Casino should be a fast favorite. Bonza Spins offers an online casino and a Vegas room, which contains over 700 online pokies. The Vegas section contains a game of the week with special bonuses, a Mystery Game to introduce players to new games and less-touted favorites, and a promo booster which gives special rewards. Bonza Spins is designed for pokies players. While the bonuses mention table games and video poker, you’ll find few table games to play. Everything is based around the latest pokies. Since Bonza Spins features games from 15 design houses, you’ll be able to sample the latest pokies on the Internet. Promotions include traditional welcome bonuses, but also skew towards several customizable free spin bonuses. In every way, Bonza Spins Casino caters to Australians who love to play pokies online. 700 Pokies Available: Bonza Spins Casino has over 700 online pokies available from 15 different software providers. If you like to sample the slots, this is the site to try. Thousands of Free Spins: Sample new pokies by using the site’s free spin bonuses. You’ll get 150 free spins on your 1st deposit, but you can collect up to 2,100 free spins in all. Bonza Spins changes its feature pokie each day. Pokies-Focused: Bonza Spins is geared towards pokies at online and mobile casinos. If you prefer to play online blackjack, then Bonza Spins might not be the online casino for you. VIP Club with Rewards: Look for the Loyalty Programme to see additional rewards. The 4-tiered system has a VIP Club for high rollers which includes reward multipliers, free concert and sports tickets, and dedicated personal account managers. Visa Withdrawals: The site offers Visa, MasterCard, and Neosurf deposits. When it’s time to withdraw funds, Bonza Spins is a rare online casino which allows cashouts directly to your Visa credit card. No Live Dealer: Bonza Spins does not have a live dealer casino at present. The site launched in August 2018, so players who like live dealer games should check back later to see if a live casino has been added. Instant Play Casino: Punters can use no download casino software. Games open automatically in your web browser. Also, the Mobile Web app means 100% of Bonza Spins’ pokies are compatible with Android, iPhone, and iPad. To register an account and start playing for real money, follow the simple steps below. Join Bonza Spins: Make sure you’re connected to the Internet and all applications are closed. Go to the casino lobby from the homepage, click “Join”, and enter the registration details. Choose the bonus you prefer. Make a Deposit: Go to the Dashboard and pick Banking Options. Choose “Deposit Option” and select between Neosurf, Visa, or MasterCard. Choose the Australian dollar amount you wish to deposit and confirm the payment. Pick a Game: Go back to the Bonza Spins homepage. Pick a game from the various categories: Jackpots, Table Games, Video Slots (Pokies), Popular Games, All Games, and Favourites. Make a Withdrawal: Once you’ve finished with your free spins and cleared the withdrawal requirement on your winnings, go to the Dashboard to find the Banking Options. Choose “Withdrawal Option” and cash out using Visa or a Bank Transfer. Wait 3 to 5 days after verification for payment. If you have any questions about signing up, address your BonzaSpins.com support email to support@bonzaspins.com. To open a Live Chat thread with the support staff, click on “Let’s Chat” on the BonzaSpins contact page. A welcome bonus is one of the best casino bonuses you can receive. You’ll get a good one with the Bonza Spins Casino Welcome Bonus, which is easy to use, but takes a little explanation. The basic premise is you get 150 free spins on your first deposit of $20 or more. You’ll receive 75 free spins on the day of your first deposit, then 25 spins-a-day for the next three days after the deposit for 75 more spins. Every depositor receives this bonus, but Bonza Spins provides a way to accumulate up to 2,100 free spins. This method is called the “Big Mobs of Spins”, which you’ll find discussed on the Promotions page. Besides the ability to receive 2,100 free spins, the “Big Mobs of Spins” page also shows how to collect an $800 deposit bonus. Read on to hear the full explanation. On your first deposit, receive up to 150 free spins. On the day of your 1st deposit, you’ll receive 75 free spins on the online pokie of the day. For the next three days, you’ll receive 25 spins a day for a total of 75 more free spins. On subsequent deposits, you receive up to 30 free spins per $25 deposited, but the best offer is the 150 free spins on the first deposit. To qualify, make a first deposit of $20 or more. Get $200 per deposit on your second, third, fourth, and fifth deposit. To trigger this offer, which is sometimes called the “Ripper Returns”, you’ll need to make a deposit of $25 or more. Each of these payments unlock a 50% deposit bonus, so you’ll receive $200 in bonus cash for a $400 deposit. The wagering requirement is 35x the deposit. Anytime you make a deposit of $25 or more in a week’s time, you’ll receive a total of 2,100 free spins. BonzaSpins changes the pokies used in the offer daily, so you’ll be able to try a large array of online poker machines. For every AU$25 in deposit cash, you’ll receive an additional 30 free spins. The max number of free spins in a week is 2100. This offer runs from Monday at 00:00 GMT until Sunday at 23:59 GMT. To withdraw your winnings, you’ll need to wager the amount of your winnings 35x. To claim these winnings, go to the “Big Mobs” promotion under the “My Promotion” section of the Bonza Spins cashier page. This offer is actually 3 offers in 1, which are discussed below. If you prefer smaller deposits, then Bonza Spins’ free spins bonus provides 300 free spins per day on a daily basis for 10 deposits of AU$25 or more. Once again, you’ll receive 30 spins per $25 deposited. To cash out your winnings, you’ll need to wager your winnings 35x, then got to the “My Promotion” page to make a withdrawal. To max out your free spins, remember to make small deposits of $25 apiece. The max free spins per deposit is 30, so if you want to claim 300 free spins in a day, you’ll need to add ten $25 deposits in one day’s time. BonzaSpins limits deposits to 10 in a day. Bonza Spins Casino uses Betsoft, iSoftBet, and Pragmatic Play software. Players do not need to download a casino client. All games are handled through instant play using Flash or Mobile Web browser-based services. Instant play games open in the web browser without a download, which makes the games compatible with Windows or Mac desktop computers. The site therefore provides seamless compatibility with over 700 online pokies. 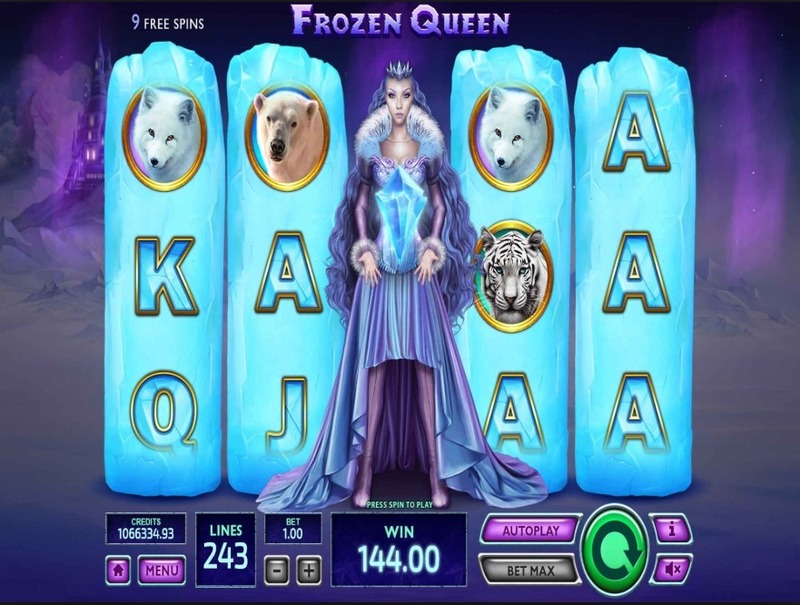 Bonza Spins contains a handful of pokies from a variety of lesser known software designers, including BG, Fazi, Habanero, MrSlotty, Red Rake Gaming, Nolimit City, Tom Horn, Magnet Gaming, IGTech, Gamevy, Booongo, and Wazdan. This means you can explore the latest trends in online and mobile pokies. You can play 243 Crystal Fruits from Tom Horn, which activates 243 ways to win. While 243-ways pokies are becoming common, you can also try the 3888 Ways of the Dragon from iSoftBet. This game, released in November 2018, pushes the boundaries on paylines by offering 3888 ways to win. Add it all up, and Bonza Spins provides over 700 online and mobile pokies for online punters. The Mobile Web application means anyone who uses an Android or iOS device can access 100% of the games on BonzaSpins.com. Mobile players can access the site on their Android smartphone or tablet, iPhone, or iPad. Because games open in the web browser, most mobile operating systems like Windows Phone, BlackBerry, and Symbian are compatible with BonzaSpins.com. The minimum deposit is $20, which can be made using Visa, MasterCard, or Neosurf vouchers. A $20 deposit unlocks 150 free spins, which are allotted over your first four days on the site. Different currencies have their own minimum deposit. The minimum qualifying deposit a player has to make to receive a deposit-related bonus is AUD 20, USD 20, CAD 20, EUR 20, NOK 200, and SEK 200. For Aussies, you’ll only have to deposit 20 Australian dollars to receive the 150 free spins bonus. Deposit Method – Process Time – Fee – Mobile-Optimized? Neosurf – Instant Transfer – No Fee – Yes. Mobile-Friendly. Visa – Instant Transfer – No Fee – Yes. Mobile-Friendly. MasterCard – Instant Transfer – No Fee – Yes. Mobile-Friendly. Withdrawals take 3 to 5 business days to reach your account, one the pending process is completed. When a withdrawal is pending, you will not be able to access a bonus promotion. If you wish to use a bonus, you can cancel your withdrawal. Withdrawal Method – Process Time – Fee – Mobile-Optimized? Bonza Spins Casino has a Loyalty Points programme for all punters on the site. If you play at high volume, your membership level improves and you can collect Rewards Points at a faster pace. Look at the Rewards Points accumulation table below to see the base conversion level for all games. To redeem points, go to the Loyalty tab on the Promotions & Rewards page and click “Convert Reward Points”. Points are redeemable in units of 500 at a time and must be redeemed within 30 days of being rewarded. Along with the Loyalty Programme, Bonza Spins Casino has a VIP Club for high stakes players. This is the highest level of the loyalty programme with VIP promotions like backstage passes to concerts and front row seats at a ballgame. Includes personal casino hosts to manage your benefits.